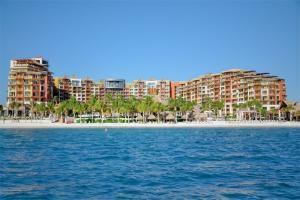 This beachfront luxury resort is located in the pristine beaches of Playa Mujeres. Villa del Palmar Cancun Luxury Beach Resort & Spa offers splendid views from any of the 415 Suites of the lush gardens, stunning swimming pools and Caribbean Sea, all in an idyllic setting. All Suites are decorated in contemporary zen décor, and all provide a terrace or balcony.